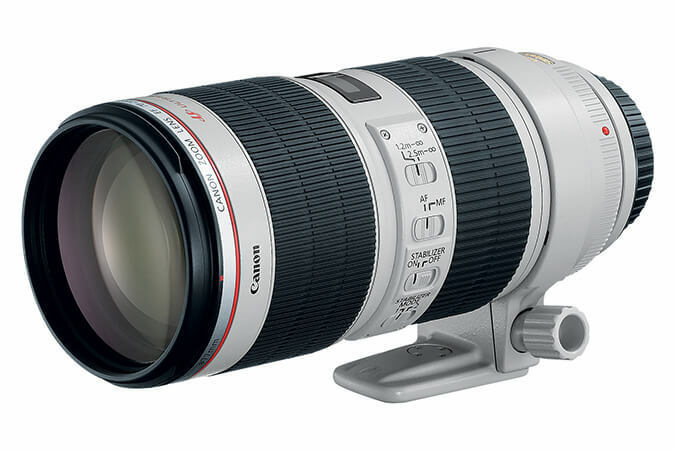 An upgrade of a legendary Canon lens. 1 fluorite and 5 UD elements for increased optical quality and reduced chromatic aberration. Built for rigorous professional use. Small minimum focusing distance lets photographers in tight spaces get closer to a subject. Max. diameter x length, weight: ø 88.8 x 199 mm, 1,490 g/ 3.5” x 7.8”, 3.3 lbs.